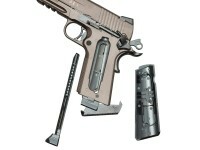 Read more about the SIG Sauer 1911 Spartan in Tom Gaylord's Airgun Academy Blog. 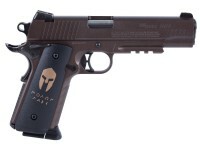 A 1:1 replica of the 1911 Spartan center-fire pistol, the Sig Sauer 1911 CO2 BB pistol is a tactical trainer/plinker great for beginners and experts alike. This full-metal Sig keeps the weight and controls of the centerfire model and includes a blowback feature for a realistic feel. 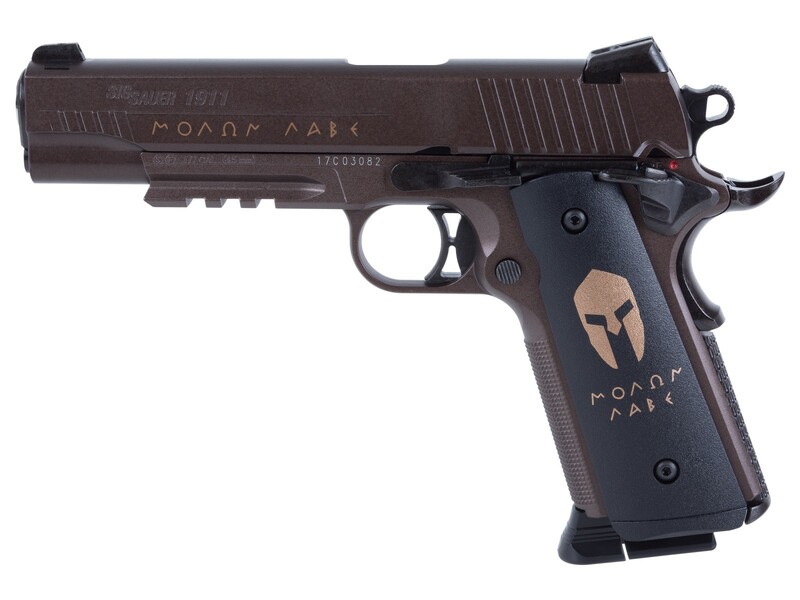 Incorporating the unique bronze finish of the original, this full-metal pistol displays a Spartan helmet on the grip with the Greek words uttered by the Spartan King Leonidas - “Molon Labe” (“Come and take them”) engraved on the slide and grip. 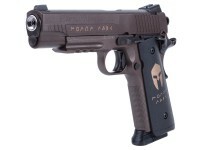 The Spartan's distinctive features include a skeletonized hammer and trigger, as well as easy to see white-dot sights. A Weaver/Picatinny accessory rail readily accepts a flashlight or laser sight. 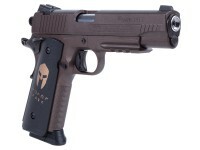 The Spartan's 16 round capacity keeps you reloading less than you would with the “real steel”, making it a great trainer pistol. Launch BBs downrange at speeds up to 410fps to spin cans and punch thru paper targets with ease. Things I liked: Great weight. Fairly accurate shot. Feels good in your hand. 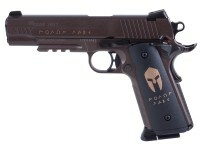 Things I liked: I like everything about the Sig Spartan 1911. It's fun to shoot and has a realistic action and features. I shot about 100 BB's to break it in and had no malfunctions. Accuracy is good for a BB gun, it is not a precision target pistol but for a $100 you can't beat it. I'm waiting to try some Dust Devil BB's in it when they are back in stock. What is the trigger pull poundage for this pistol?